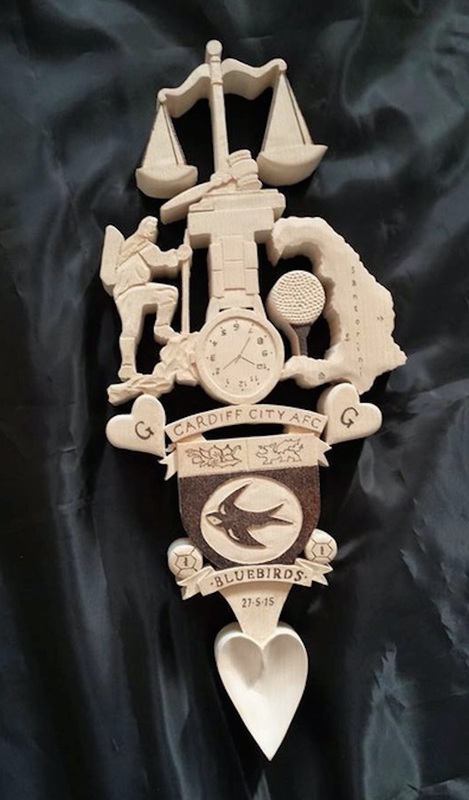 Woodcarver Les Barker was born in Aberdare in the Cynon Valley area of South Wales. When he discovered a natural affinity for working with wood, his life changed forever. Within a year of opening his workshop, Les was receiving international commissions. Les is particularly renowned for his intricate love spoons. With Cascade Crafts, he has widened his product range to meet a growing demand for his remarkable work. 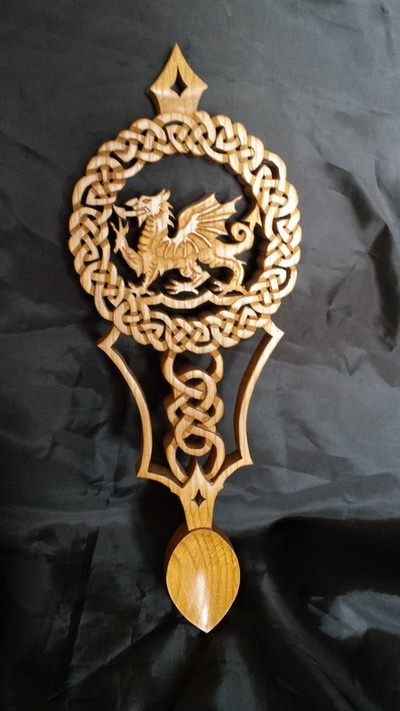 Cascade Crafts produces beautiful bespoke love spoons and wood carvings, all individually designed and hand-crafted. All pieces are hand-carved by Les to your own specification using traditional methods. From intricate Welsh love spoons to beautifully ornate set pieces, each item can be as simple or complex as you like. All bespoke items are individually quoted for based on size, complexity, material, postage and packaging.